Swedish cult label FACE Stockholm is no longer just shaking up the international cosmetics market. 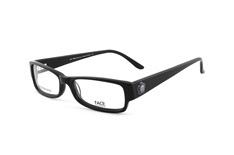 It also has a good eye and absolute fashion sense for all things eyewear. The brand’s design ethic stands for a natural and clean look, characterised by a large helping of trendiness and a colourful character. 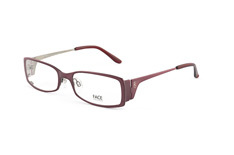 All frames are made exclusively from high-quality materials such as plastic, titanium or metal and are characterised by first-class workmanship. The design is thought through to the very last detail and offers stylish versatility. Whether you’re looking for something playful, elegant or expressive – there‘s a pair of FACE Stockholm glasses to suit every taste. The colour palette ranges from elegant blue and warm brown tones to red, magenta and beautiful colour gradients. The brand successfully combines and layers multiple colours perfectly, whilst also lovingly adding lots of details. 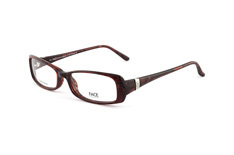 Small floral patterns, subtle prints or metal trims give the glasses their incomparable charm. FACE Stockholm’s glasses are distinguished by their practicality. 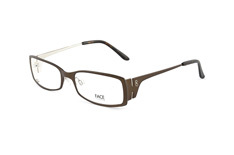 They can be easily combined to create a variety of looks and have therefore become the perfect all-rounder. The foundation of the iconic Swedish label’s international success was laid by founder Gun Nowak in 1982. Nowak had already made a name for herself on the Stockholm fashion scene in the 1970s, with her three trendy fashion boutiques. However, she couldn’t find the right cosmetics for her creations and, without further ado, Nowak created her own beauty line, which she today runs with her daughter Martina Arfwidson.